Addled by grief after the death of his wife, and prompted by reports of colossal animal bones found in Kentucky, John Cyrus Bellman sets off on his quest, leaving behind his only daughter, Bess, to be cared for by her aunt. While Bellman ventures farther into the wilderness, forging an uneasy fellowship with his guide, a Native American boy, Bess traces her father’s path on maps at the local library and keeps out of the way of their peculiar neighbour Elmer Jackson. 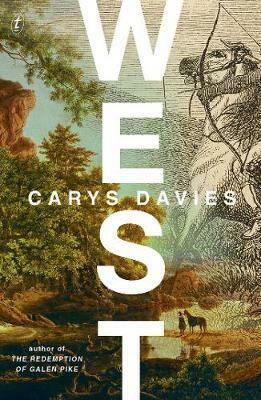 Bold and lyrical, West is a brief epic, a micro masterpiece about love, reckless determination and yearning for the unknown.